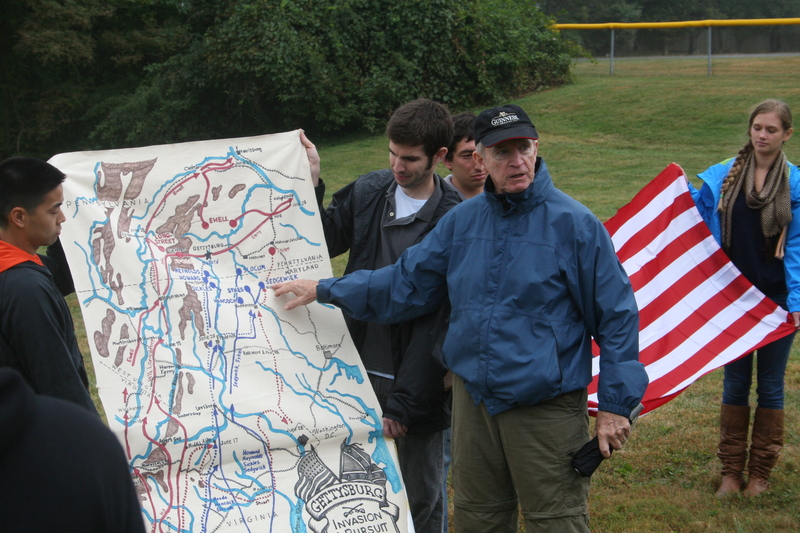 Dr. Thomas Keaney, executive director of the Philip Merrill Center for Strategic Studies and Associate Director of the Strategic Studies Program at SAIS, explains the movement of Union and Confederate forces during the Gettysburg Campaign in June 1863. 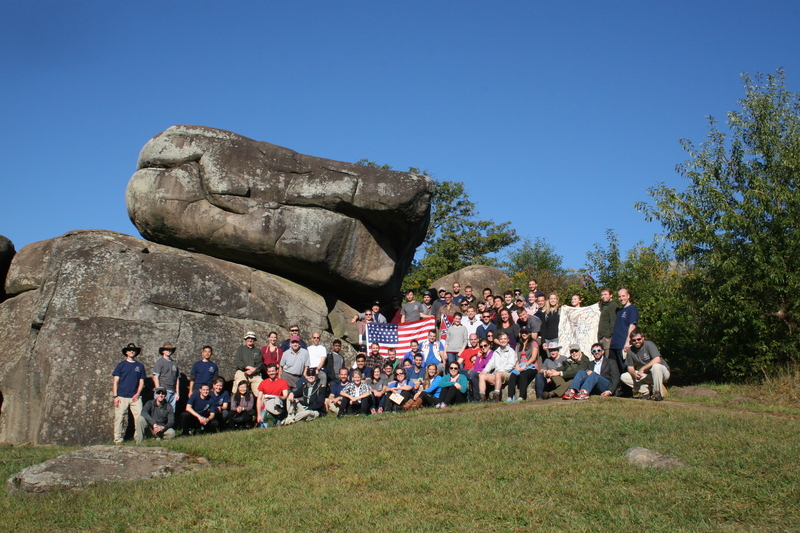 SAIS students pose for a group shot at the scene of heavy fighting on July 2, 1863 in Devil’s Den at the Battle of Gettysburg. 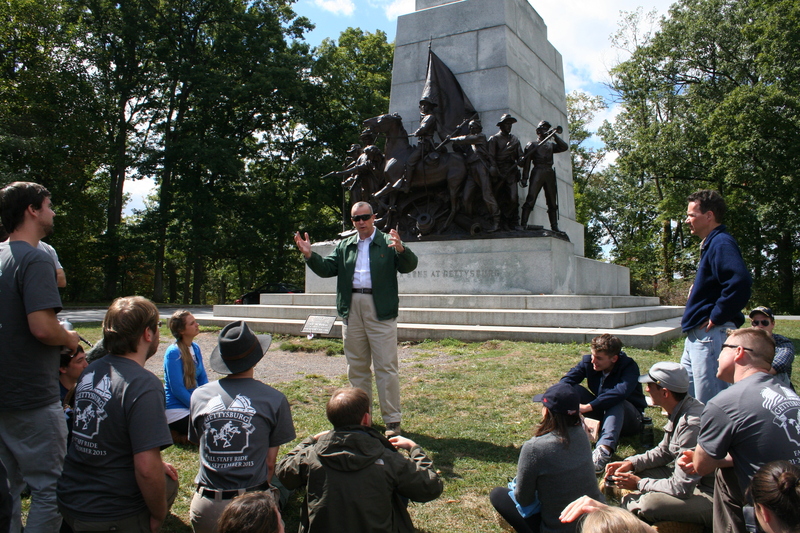 Dr. Keaney explains the importance and role of artillery for both the Union and Confederacy at the Battle of Gettysburg. 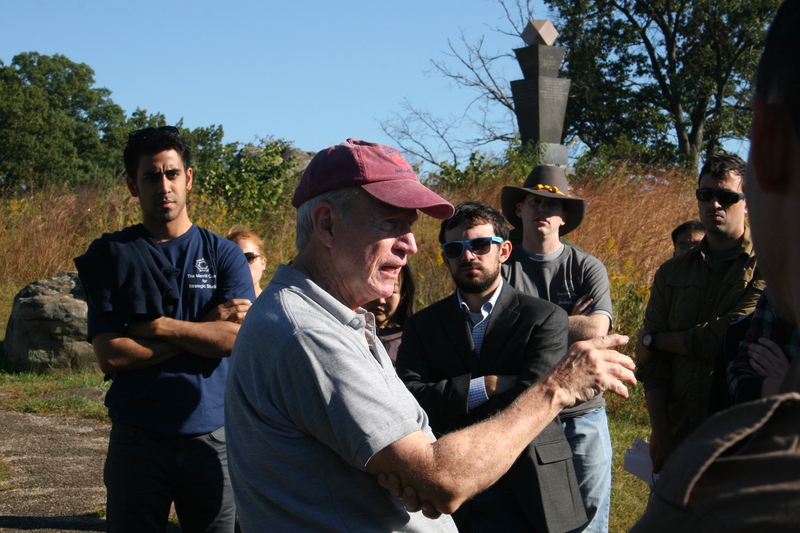 Dr. Eliot Cohen, director of the Strategic Studies program, and Will Quinn, first-year M.A. 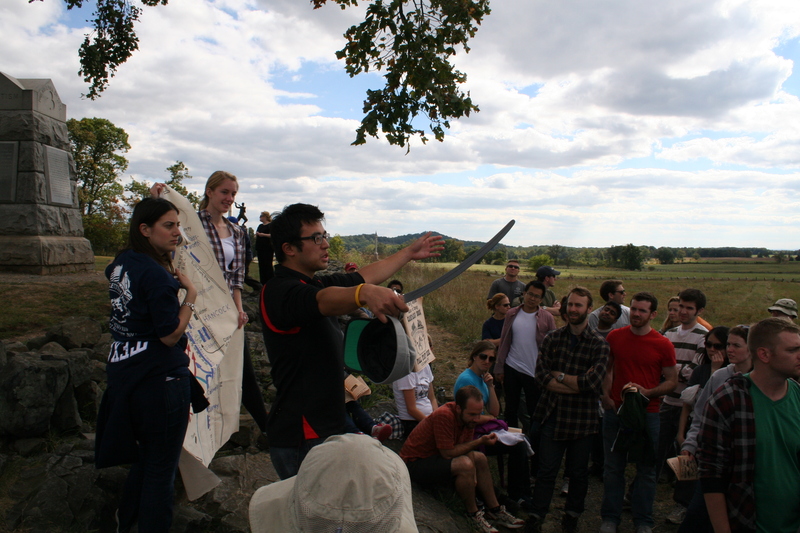 in Strategic Studies student, hike up Little Round Top at Gettysburg. 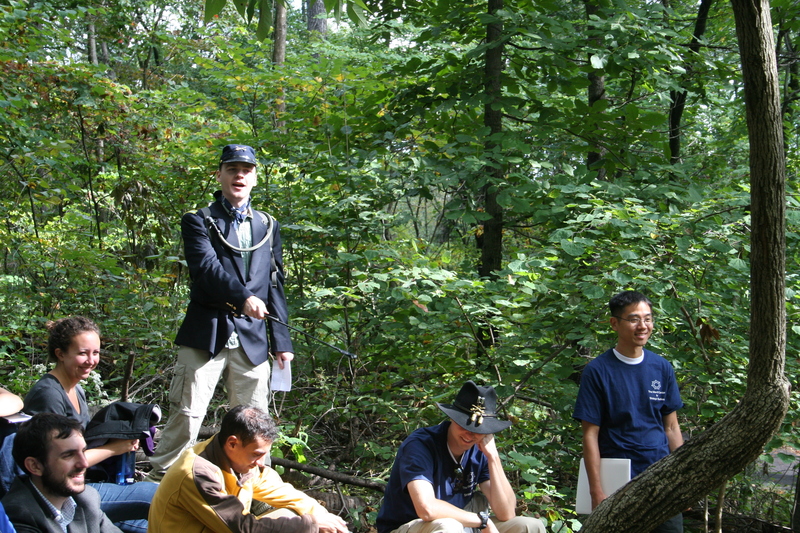 Jack Bianchi, second-year China Studies M.A. 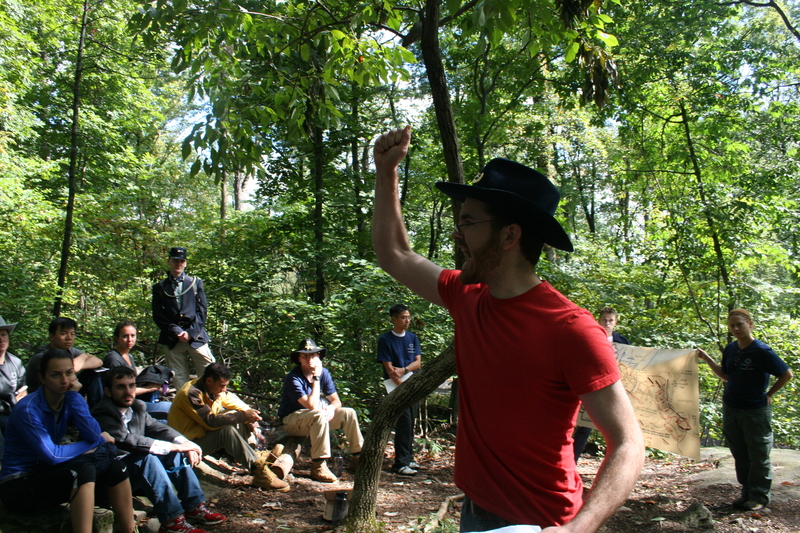 student, explains how Colonel Joshua Chamberlain ordered the men of the 20th Maine Regiment to fix bayonets before a courageous charge against Confederate Troops at Little Round Top. 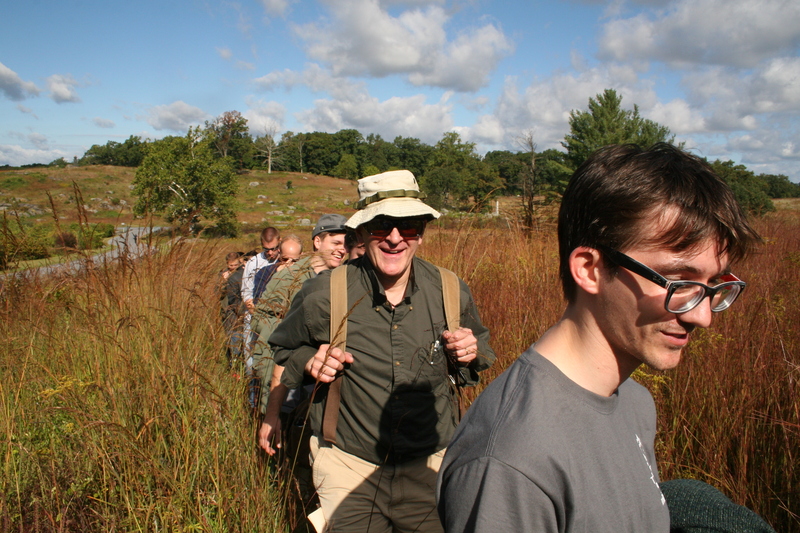 Anne Gillman, second-year Southeast Asia M.A. 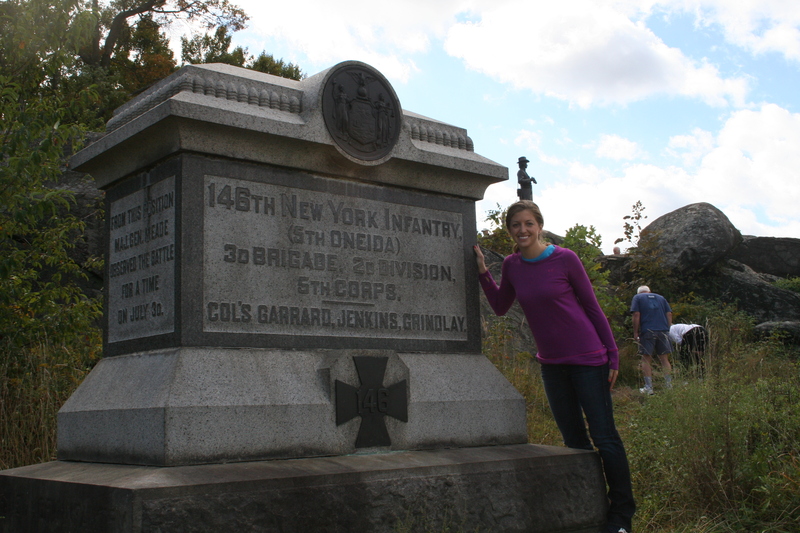 student, poses at the statue of her great great great grandfather David Morgan’s 146th New York Volunteer Infantry regiment, which fought at Little Round Top during the Battle of Gettysburg. General John Allen, former Commander of International Security Assistance Force (ISAF) and U.S. 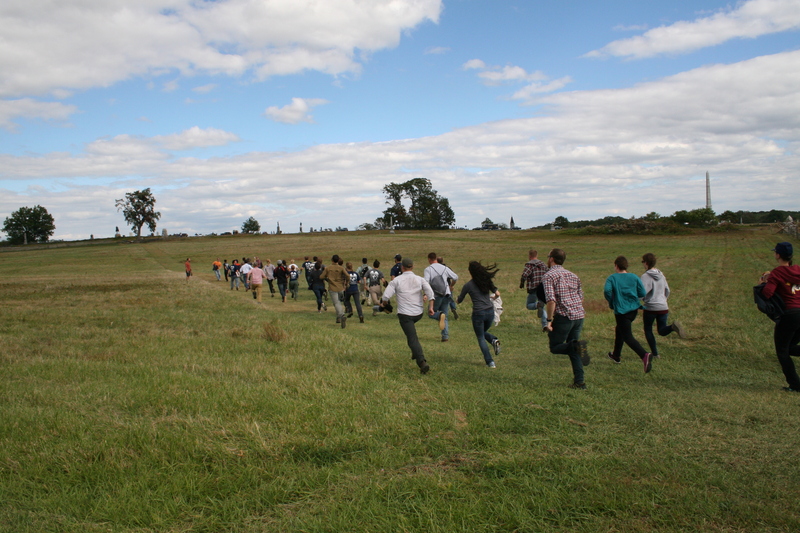 Forces in Afghanistan (USFOR-A), describes how he led 150,000 forces in Afghanistan from July 2011 through March 2013. 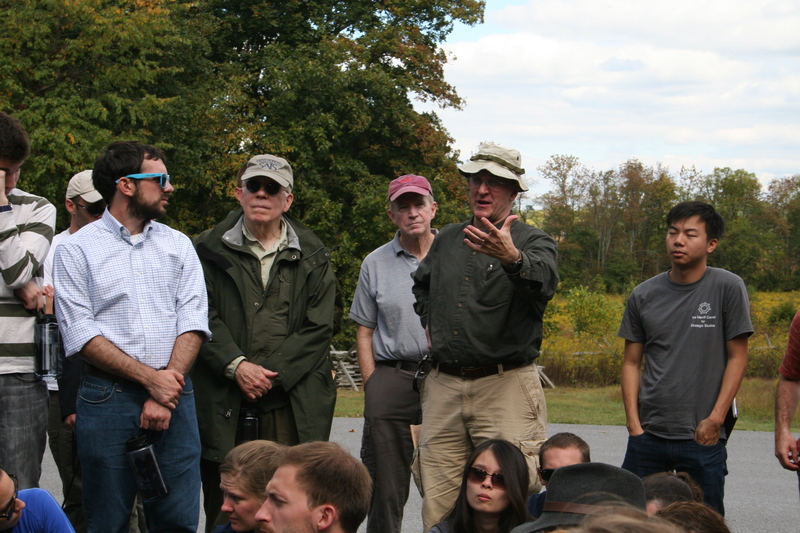 Dr. Eliot Cohen, director of the Strategic Studies Program, asks General John Allen a follow-up question on military leadership. 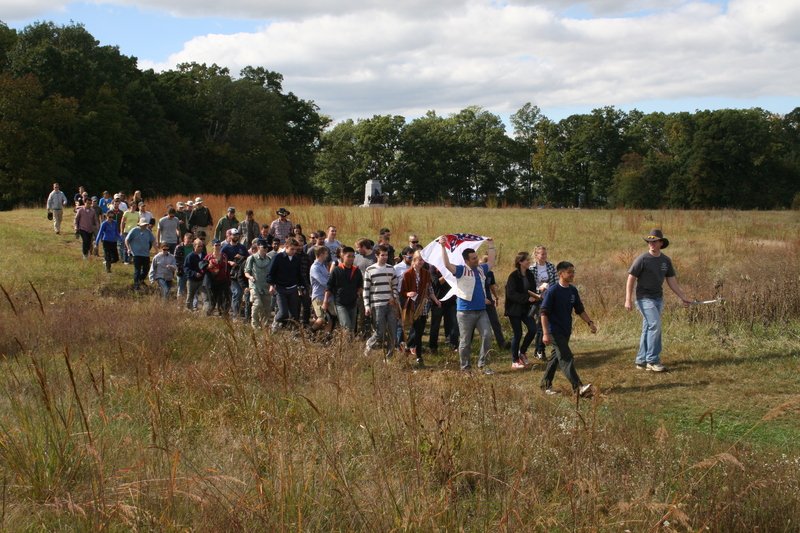 SAIS professors, distinguished visitors, and students march in formation to experience Pickett’s Charge. 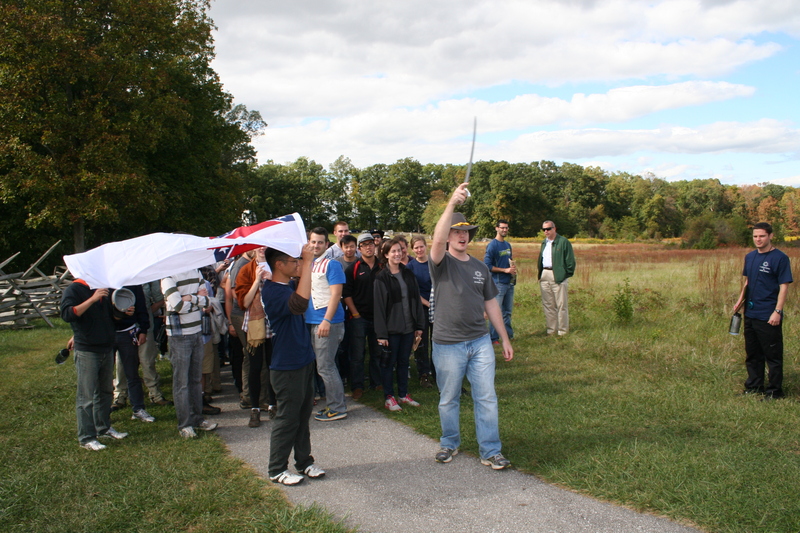 SAIS Bologna and second-year Strategic Studies student Brian Ku explains how Brigadier General Lewis Armistead led his Confederate troops during Pickett’s Charge. 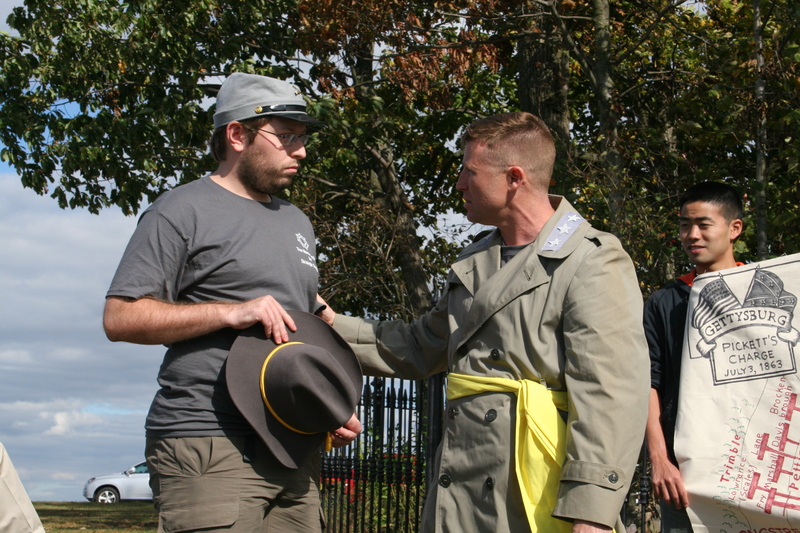 SAIS MIPP and Lieutenant Colonel Jeff Moses explains as General Robert E. Lee why the Confederate strategy at Gettysburg ultimately failed. 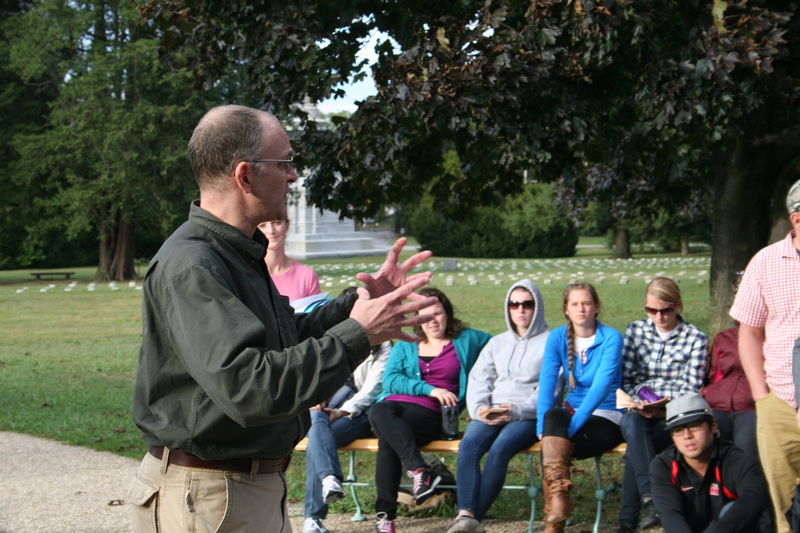 Dr. Eliot Cohen explains the implications of the Battle of Gettysburg and the importance of the Gettysburg Address at the location where President Abraham Lincoln delivered the address on November 19, 1863.